A 21 year career. 79 tours of Japan. Former World Champion. "The King of Old School". For the first time in his career witness the biggest moments, the most violent matches, and the absolute worst of Steve Corino. This must hear interview includes plenty of never before heard stories that covers a legendary two decade career. From his early days in wrestling, international tours, encounters with legends like Dusty Rhodes, becoming a world champion, and the his tenured Ring of Honor career; this is guaranteed to be one of the most entertaining interviews you'll ever hear. 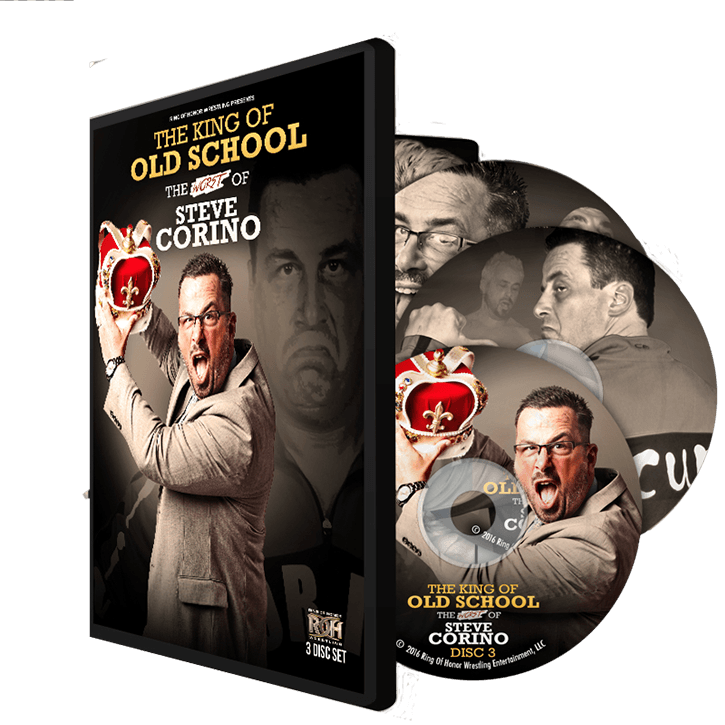 Along with the interview are 15 of Corino's greatest matches in ROH history. Highlighted by Corino's bloody feud with Homicide that left him permanently deaf in one ear. See matches with other legends such as Bryan Danielson, Samoa Joe, CM Punk, Tyler Black, and Kevin Steen. This three disc compilation spans the entire career of one of Ring of Honor's greatest competitors. Follow his journey through the biggest promotions in the world, into Ring of Honor, and to the commentary table. You'll be amazed by the stories, you'll surely laugh, and you might even cry. Steve did three times in his career. We all play the indoor game mostly video game but if you play this game http://fireboywatergirl.me then this will be more efficient and energetic game that you have played and it will be exhaustive from all of the way. This is a great site for wrestling fans. Here everything related to wrestling is available. "http://www.tourtherijksmuseum.nl/rijksmuseum-tours/the-best-places-to-ea... The videos are of good quality. We can shop through this site. It's a complete package for shopping wrestling materials. It's a very cool site.